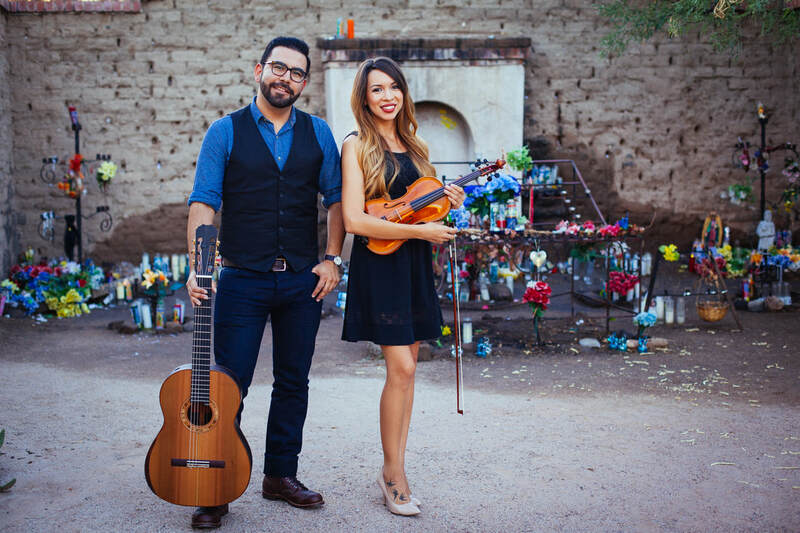 Dos Sueños is a Tucson-based, husband and wife, violin and guitar duo established in 2012. Guitarist, Jonathan (Johny) Vargas and violinist, Kaitlyn (Katie) Vargas enjoy performing a wide array of musical genres such as classical, latin, tango, as well as their own arrangements of acoustic covers of popular songs. Dos Sueños performs at brunch and dinner shows as well as events such as wedding ceremonies, cocktail hours, and other private receptions. Johny and Katie are both graduates from the University of Arizona School of Music. Both hold a bachelors degree in music education and are currently working towards their master's degree in music education from Arizona State University. They are both public school/private studio music teachers in Tucson, AZ.